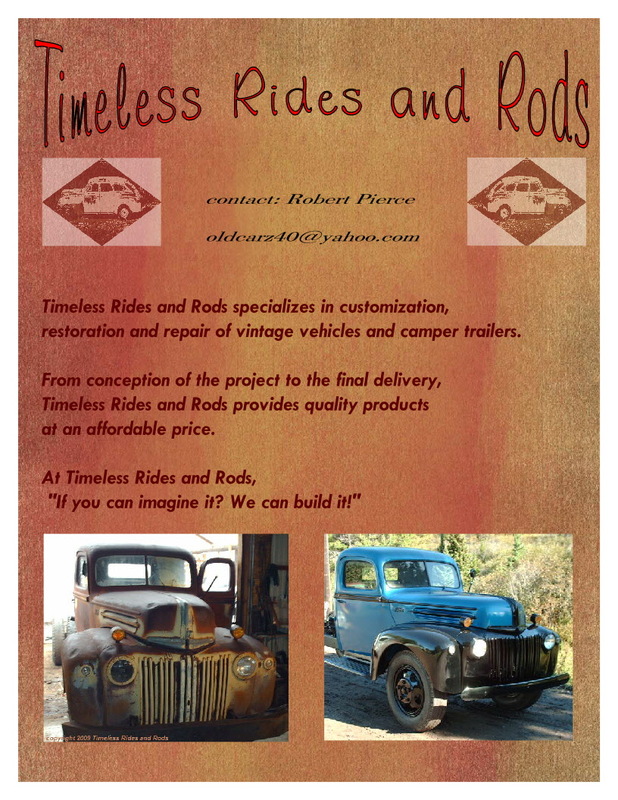 This entry was posted in public relations and tagged autobody, classic cars and trucks, hotrods, old car restoration, Rob Pierce, Timeless Rides and Rods, vintage cars, vintage trailers, vintage trucks by Thunderbird Public Relations. Bookmark the permalink. Thanks Lonnie, I’ll pass the compliments along to Rob about his amazing restoration work. He truly does work miracles on these vintage vehicles! Love the work this wonderful man can do with trucks and cars. If you need a vintage auto restored get a hold of this man and it will look like it come off the assembly line.